Hudson County TV's John Heinis who covered the Angel Alicea discrimination trial is reporting a Jersey City jury in Hudson County Superior Court yesterday added to the cost against the City of Hoboken - now totaling over seven figures! "Ex-Hoboken Official Angel Alicea awarded $625,000 in punitive damages. 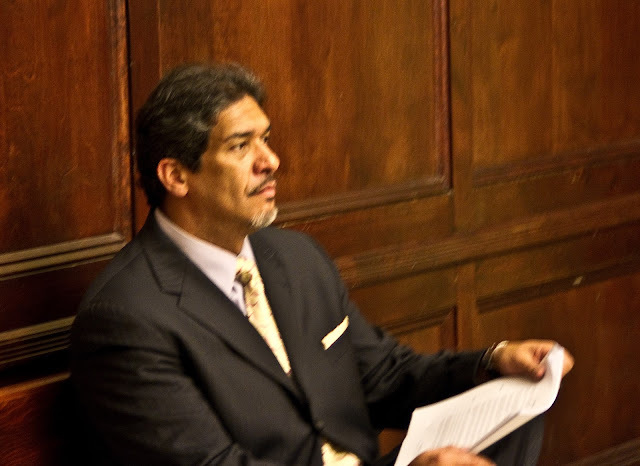 A jury in Hudson County Superior Court ruled that Alicea should receive $625,000 in punitive damage, in addition to the $440,000 they awarded Alicea two weeks ago...."
“I was extremely surprised by the jury's verdict. I requested Mr. Alicea's resignation because he did not tell the truth to me or to the public and the press about the two meetings that he had with Solomon Dwek. At each of those meetings he was offered illegal cash contributions. Despite the fact that he was an experienced Police Lieutenant who served in the Internal Affairs Bureau of the Union City Police Department, he did not report these illegal offers to any law enforcement authorities at the time that they occurred. A Jersey City jury at Hudson County Superior Court has ruled for a million dollar payday for former Public Safety Director Angel Alicia. He had resigned in the face of admitting he held meetings with FBI Informant Solomon Dwek and was also revealed to be a co-conspirant in the massive Date Theft Ring Conspiracy. The punishment for his crimes? A million dollar payday courtesy of Hoboken taxpayers. Talking Ed Note: Will someone please explain how this guy isn't writing letters from federal prison?